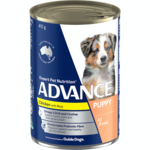 This super premium, Australian made, canned puppy food is complete and balanced to support the healthy development of your growing puppy. It is fortified with beneficial nutrients including antioxidants to help strengthen the immune system, zinc and linoleic acid to improve skin and coat condition, and prebiotic fibres to promote healthy bacteria in the gut for better digestive health and smaller, firmer stools. Advance Puppy Plus Growth Chicken & Rice also contains enhanced levels of DHA and choline to help support brain and cognitive development. 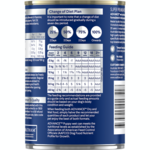 Chicken; Rice; Minerals (Tri-Calcium Phosphate, Zinc Sulphate, Manganese Sulphate, Potassium Iodide); Egg; Gelling Agents; Vegetable Oil; Fish Oil; Vegetable Fibre; Choline Chloride; Taurine; Vitamins (E, C, B6, B9, D, B12); Plant Extracts (Marigold Powder, Tomato Powder, Lucerne Meal). Great for weaning & is my baby bullies first taste of solid food & they love it & never any issues with upset tummies – highly recommend ADVANCE Puppy Plus Growth Chicken & Rice. 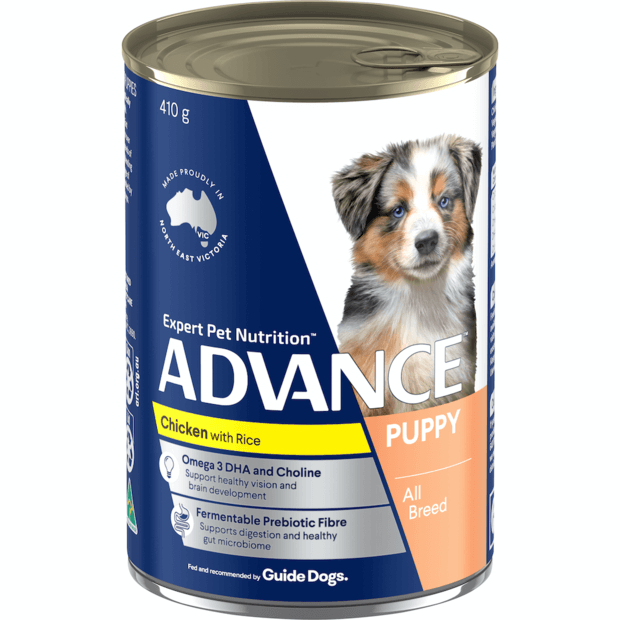 Advance Puppy Plus canned food is the first solid food my babies eat and continue to eat, along with Advance Puppy dry food, until about 3 months of age. Never have upset tummies, when babies are fed this mixture. Perfect start to weaning puppies. So happy with the results achieved with the combination of Advance Large Breed Puppy mixed with the wet combo. The Advance Puppy Plus Wet Dog Food is a super additive with Puppy Plus dry for weaning of puppies, they love it.